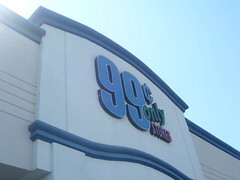 99 Cents Only Stores® (NYSE: NDN) (the “Company”) today reports total sales of $368.3 million for the first quarter of fiscal 2012 ended July 2, 2011. This represents an increase of 6.3% over total sales of $346.5 million for the same quarter last year. The Company’s total retail sales for the first quarter of fiscal 2012 were $357.5 million, compared to $336.6 million for the same quarter last year. The Company’s overall same-store sales for the first quarter of fiscal 2012 increased 5.9%. The number of same-store-sales transactions increased 4.3% and the average transaction size increased to $9.70 from $9.56. A favorable Easter selling season timing shift affected same-store sales in the first quarter. Each year, the Easter holiday increases the Company’s sales for at least the three weeks prior to Easter, with the largest impact on the last week before Easter. In fiscal 2011, the Easter holiday fell on April 4, 2010 compared to April 24, 2011 this year. As a result, the first quarter same-store-sales calculation for the first quarter of fiscal 2012, starting on April 3, 2011 and ending on July 2, 2011, includes the three weeks prior to Easter and is being compared to a 13-week period of fiscal 2011 which started on April 4, 2010 and ended on July 3, 2010 and therefore did not include any Easter sales effect. The Company’s gross and saleable retail square footage at the end of the first quarter were 6.05 million and 4.76 million, respectively, based on 285 stores. This represents an increase of 3.0% over last year for each of gross and saleable retail square footage. In fiscal 2012, the Company currently plans to open 16 new stores, which is a store growth rate of approximately 6%. The first new store for the current fiscal year will open on July 21st in Las Vegas, Nevada. The majority of the planned new stores for fiscal 2012 are expected to be in California and to open in the second half of the fiscal year. The Company currently plans to accelerate its store growth rate to approximately 10% in fiscal 2013, with the majority of new stores expected to be in California. 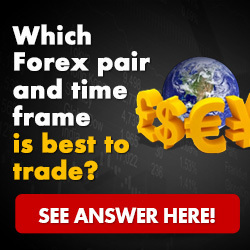 The Company plans to release its financial results for the first quarter of fiscal 2012, after the market closes on Monday, August 8, 2011, followed by an investor conference call the same day at 1:30 p.m. Pacific time (4:30 p.m. Eastern time). Founded over 25 years ago, 99 Cents Only Stores® currently operates 285 extreme value retail stores consisting of 211 stores in California, 35 in Texas, 27 in Arizona, and 12 in Nevada. 99 Cents Only Stores® emphasizes quality name-brand consumables, priced at an excellent value, in convenient, attractively merchandised stores. Over half of the Company’s sales come from food and beverages, including produce, dairy, deli and frozen foods, along with organic and gourmet foods. The Company’s New York Stock Exchange symbol is NDN. We have included statements in this release that constitute “forward-looking statements” within the meaning of Section 21E of the Securities Exchange Act and Section 27A of the Securities Act. The words “expect,” “estimate,” “anticipate,” “predict,” “believe” and similar expressions and variations thereof are intended to identify forward-looking statements. Such statements appear in this release and include statements regarding the intent, belief or current expectations of the Company, its directors or officers with respect to, among other things, the business and growth strategies of the Company, planned new store openings, our future store opening growth rate and trends affecting the financial condition or results of operations of the Company. The shareholders of the Company and other readers are cautioned not to put undue reliance on such forward-looking statements. Such forward-looking statements are not guarantees of future performance and involve risks and uncertainties, and actual results may differ materially from those projected in this release for the reasons, among others, discussed in the reports and other documents the Company files from time to time with the Securities and Exchange Commission, including the risk factors contained in the Section – “Management’s Discussion and Analysis of Financial Condition and Results of Operations” of the Company’s Annual Reports on Form 10-K and Quarterly Reports on Form 10-Q. The Company undertakes no obligation to publicly revise these forward-looking statements to reflect events or circumstances that arise after the date hereof.